Andy H: This week we see the start of Marvel's Secret Wars spin-off titles but I'll get to them later. The big one for me on Wednesday is the return of Trees from writer Warren Ellis and artist Jason Howard. The first eight-issue run last year was a fantastic read. Ellis crafted a number of storylines featuring very different characters that totally sucked me in over the first seven issues and then just exploded with issue #8. Finally, after a brief hiatus, we get to see where (and how) the story will progress. Colour me excited! Coming to a close, for now, is Scott Snyder and Jock's Wytches. It's been a tense and creepy run so far and I'm really hoping for a fittingly tense conclusion to the first arc. Possibly not so creepy but maybe a slight case of tongue in cheek is the awesome Alex de Campi's second issue of Archie Vs. Predator. You may scoff but it works. We've seen the Predator in the jungles, seen it in the big city, now it's off to Riverdale with Betty and Veronica as it's targets. So, onto Secret Wars. It's a veritable pick and mix of goodies heading our way over the next few months and it starts here. 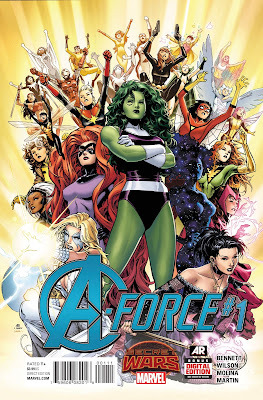 A-Force #1 looks like this week's big winner. A massive cast of all female Avengers fighting to protect their piece of Battleworld. Looking at the cover art we've got a great selection of characters for writers C. Willow Wilson and Marguerite Bennett to play with. I'm also going to try out Planet Hulk #1. I was going to leave it but now I've seen some preview pages I think it will make this week's pull-list. Finally, and just because I love it so much, we see another reprint of Locke & Key. This is the Master Edition, a hardcover tome collecting the first 12 issues of my favourite read this century! I know I shouldn't want to buy it all again but it is that good. Must resist (not). 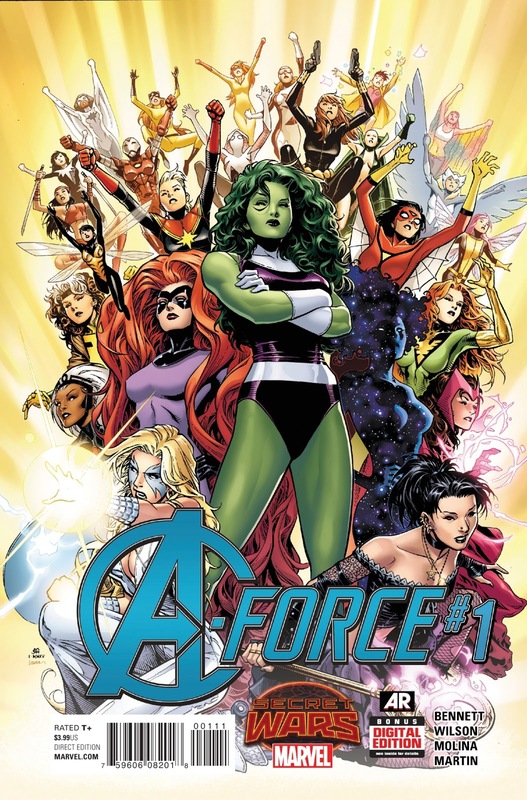 Matt C: A-Force was one of the only Secret Wars spin-off titles I was considering looking at prior to the launch of the event. Having being completely bowled over by Secret Wars #2 (I'm amazed at how good it was) I'm now casting my eye over some of the other tie-in books. It's will be more about the creator's involved rather than the characters as generally most of my buying choices are creator led these days. With that in mind, Joshua Williamson, Mike Henderson and Ed Brisson's involvement in Secret Wars: Battleworld #1 means I'll be taking that one home, although the revolving door approach to writers and artists (and characters!) over the four-issue limited series means I may not be back for round two. Outside of all the Secret Wars hoopla it's a relatively quiet week for me, with Ei8ht #4, Star Wars #5 and Letter 44 #16 being the standouts.